The End Of Civilization As We Knew It, Part Eleven. We have referenced 2016 as the location in time from which we launched our reflections on the end of civilization as we knew it, explained in Part One and since. That will continue to be expanded on. A brief comment on the last week before proceeding. In the US, guns, again. As we noted before, the moment almost came at Parkland, in a process in which the revolt against this kind of weaponry will soon, in the eye of history, overcome. But how much more blood first? Eleven murdered in a synagogue, which among other things demonstrated care for refugees, uniting the anti-Semitic and anti-Muslim and anti-immigrant bigotry of the murderer. Bombs mailed to two former US presidents and the last presidential candidate who won the popular vote but lost the election, and a number of other prominent opponents of President Trump, attempted by a deranged supporter, another bigot. It would have been a group assassination unprecedented. Troops threatened to be sent to the Mexican border to stop a fake invasion of the desperate nowhere near the border. An unconstitutional threat to change the constitution by executive order. The Reagan-Gorbachev treaty vastly reducing nuclear weapons threatened to be torn up. The anchor of stability in Europe, Angela Merkel, beginning an exit, unimaginable at a moment of enormous instability. Hope in Ireland, which left the anachronism of blasphemy behind as it has led toward a progressive future in vote after vote in recent years. Continued lying from the Saudis and a Middle East in growing danger while more children die from war and hunger. A virtual fascist elected in Brazil, because of the usual dynamics of desperation and rage covered before, threatening human rights and the planet itself. Back to our current reflection on the end of civilization as we knew it. The above quote from our reflection in Spring 2016, was the most current at that point of many over the years in the same vein. Sometimes we like being prescient. Sometimes we don’t. For the current installment on the end of civilization as we knew it, the last before the mid-term elections in the US, which will be pivotal one way or another in US and world history, we turn again to the best ongoing television documentary journalism series for decades in our view, Frontline on PBS. Last night and tonight, Frontline aired one of its rare two-part series, episodes 4 and 5 of season 37, The Facebook Dilemma: A Two-Night Special Event. This is not just a review of the impact of social media on the election of 2016 in the US, the 2018 election next week, elections and policies globally before and since, genocide, those with power and those without, and the global conflicts over power in various ways. That would be enough to take a good hard look at, right? Well, this is all that and more. As noted in previous reflections, we live in the digital age, which we’ve covered extensively. This two-night blockbuster from Frontline is an expanded eye-opening look at the power of the digital age and how it has changed and is changing everything, for all humanity and all life on earth. Its like taking a breath and suddenly realizing you’re submerged in ice-water as it fills your lungs. Not because the program in or of itself creates this as a reaction to an exquisitely-crafted journalistic art form, but because it’s a wake-up call to reality. Want a chance to get to the surface and live? The remainder of our post consists of related content, print and video, to the broadcasts. In the case of our new, two-part documentary, The Facebook Dilemma, which begins tonight at a special time (9/8c; check local PBS listings), our investigation was sparked by the extraordinary impact Facebook has had here and abroad. We were particularly interested in a central question: what did Facebook know about the consequences of its mission to connect the world, and how did it address these issues? As we dug deeper, producers James Jacoby and Anya Bourg found many people from across the globe — from Egypt, to Ukraine, to the Philippines — to former company insiders, who had sounded alarms to the highest levels of the company, but who said their warnings had gone unheeded. And what started as a basic accountability question became an examination of Facebook’s core algorithm – the “secret sauce” as one insider told us – and the role that technology companies like Facebook play in our democracy. Our team on the film also includes Dana Priest. Dana, a Pulitzer Prize-winning investigative reporter at the The Washington Postand professor at the University of Maryland’s Philip Merrill School of Journalism, was drawn to this project because, in her mind, Facebook had built the largest intelligence-gathering operation in the world, and yet was operating with very little oversight. In addition to our two-part film on what we found, which will air tonight, Oct. 29, and tomorrow, Oct. 30, we will also soon be adding new content to our Transparency Project, where you can explore our interviews in depth, and see more of the context to our reporting. This investigation wouldn’t have been possible without the amazing team at FRONTLINE — and, of course, the support of viewers like you. Thank you for giving us the opportunity to ask tough questions, and follow the story, wherever it might lead. Part one of The Facebook Dilemma premieres tonight at 9/8c on PBS (check your local listings) and online, and tune in for part two tomorrow at 10/9c. As you saw in part one of The Facebook Dilemma last night, the social media platform has had historic and far-reaching impact both at home and abroad. Our challenge, from the start, was how to distill such a sprawling and consequential story – and a year’s worth of deep investigative reporting – into a coherent, fair and well-told narrative. What we came to see was that although Facebook has more than two billion users, on many levels the story was about leadership, and the decisions made by a man on a mission to make the world “more open and connected.” So while this two-hour special covers years and many topics, Mark Zuckerberg is central to it all. Our team collected an extensive archive of Zuckerberg’s public comments, appearances, and interviews over the years. His rise from college student to leader of a more-than-$400-billion company has been uniquely public and richly documented, so we had extensive footage and his own words to draw on to tell this story. Tonight, in part two of The Facebook Dilemma, you’ll see how Zuckerberg responded after the 2016 election, when Facebook came under scrutiny for its role in disseminating disinformation — including false stories propagated by Russian operatives seeking to exploit divisions in American society and influence the election. You’ll see how Facebook is preparing for next week’s midterm elections, how it’s trying to tackle a range of issues including hate speech and the spread of misinformation, and the way Zuckerberg views his company’s role in our country and our world. It’s a story that impacts every one of us – whether we have Facebook accounts or not. We hope you’ll join us tonight for the gripping conclusion of The Facebook Dilemma. If you missed part one, stream it online now. And, watch part two starting tonight at 10/9c on PBS stations (check local listings) and online. Activists, officials and journalists from countries including Ukraine, the Philippines and Myanmar who reported abuses say Facebook took little or no action, according to an investigation for the documentary The Facebook Dilemma, airing Monday and Tuesday on FRONTLINE PBS. It was not until after evidence that fake accounts from Russia were used to influence the 2016 U.S. election that the company acted, some said. This article is based on reporting done for the film. In Ukraine, Russian information warfare was in full swing on Facebook and a Russian social media network during the revolution in 2014, government officials say. There was a daily flood of fake news condemning the revolution and trying to legitimize the invasion by claiming Ukraine was an Islamic State safe haven, a hotbed for Chechen terrorists and led by Nazis. A month later, Facebook sent Gabriella Cseh, its head of public policy for Central and Eastern Europe based in Prague, to met with Shymkiv, Bidenko and others in Kiev. Priest is a Washington Post reporter and a professor at the Merrill College of Journalism at the University of Maryland. Jacoby and Bourg are producers for FRONTLINE PBS. You’ve heard a lot about the data Facebook gathers on its users. This digital video accompanies FRONTLINE’s new, two-night investigation of Facebook. For more on Facebook, data, and privacy, watch The Facebook Dilemma. Following the 2016 election, Facebook came under scrutiny from the press, Congress and the public for its role in disseminating disinformation — including false stories propagated by Russian operatives seeking to exploit divisions in American society and influence the election. In advance of next week’s midterms, as FRONTLINE reports in part two of The Facebook Dilemma, the social media giant has mobilized an election team to monitor disinformation and delete fake accounts that may be trying to influence voters. In the above scene from The Facebook Dilemma, FRONTLINE correspondent James Jacoby sits down with Facebook’s head of cybersecurity policy, Nathaniel Gleicher, who runs the election team. “Is there going to be real-time monitoring on election day of what’s going on on Facebook, and how are you gonna actually find things that may sow distrust in the election?” Jacoby asks. “Absolutely. We’re gonna have a team on election day focused on that problem, and one thing that’s useful here is we’ve already done this in other elections,” Gleicher answers. “And you’re confident that you can do that here?” Jacoby asks. “I think that, yes, I’m confident that we can do this here,” Gleicher says. 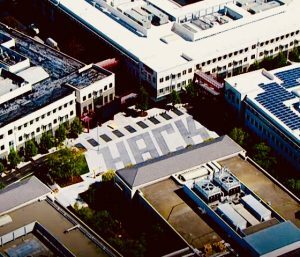 In the clip, Jacoby also talks with Naomi Gleit, Facebook’s VP of social good, and one of the company’s longest-serving employees. He asks her what standard the public should hold Facebook to. “What’s an ongoing discussion?” Jacoby asks. “How we’re doing on minimizing the bad,” Gleit responds. Part one of The Facebook Dilemma — FRONTLINE’s investigation of the social network’s impact on privacy and democracy — is now streaming online. Watch part two of The Facebook Dilemma starting Tuesday, Oct. 30, at 10/9c on PBS stations (check local listings) and online.